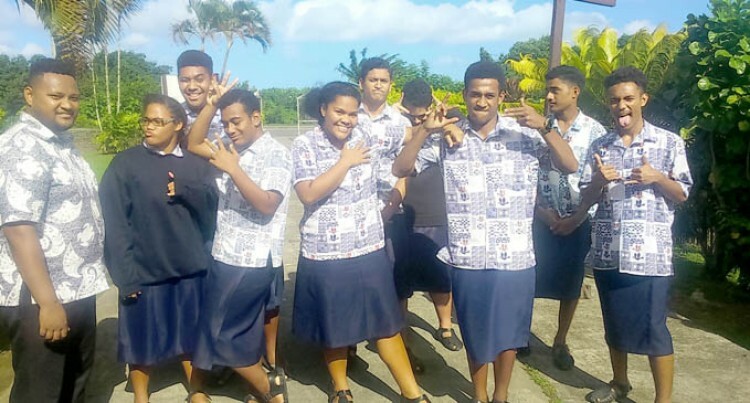 Suva Christian Community High School’s entry to the Kula Film Fiji and Fijian Made Film Awards held on Friday July 28 will centre on the theme of the restoration of a broken home. Film Director Year 10 student Eleanor Kanaimawi said the main character’s journey in the film was how he took responsibility for his actions and admitted his wrong doing in taking part in the family break-up. Ms Kanaimawi said the the young man realised that he had done something wrong and returned home where his family accepted and welcomed him back home. “He being accepted by the family shows how their family is built around Christianity,” she said. The film all begins when the main character which is played by Year Nine student, Eroni Drodrolagi was estranged from his dad after the sudden loss of his mum. “So he lost his mum when they were younger; and his dad was never there for him and his dad never had that kind of connection that you’d want a father and son to have,” said Ms Kanaimawi. Ms Kanaimawi said the script was based on one of the stories in the Bible about the prodigal son, a story chosen by the principal. “So it was based on that and what we did was make a more modern scenario and the entire film was shot on the school premises, making use of the homely environment,” she said. Team supervisor Henry Cirimaiwasa said the production was economical with the scenes and shooting all done on location at the school.